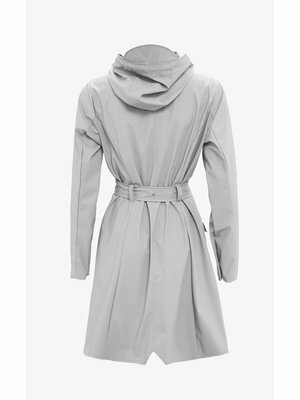 The Curve Jacket 1206 from Rains is the classic ladies model. 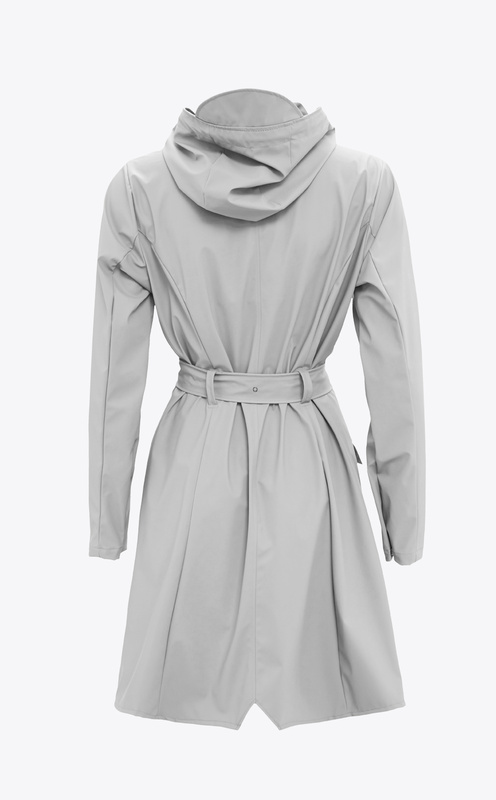 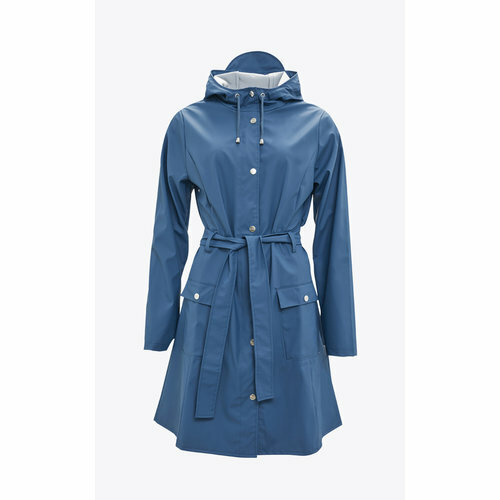 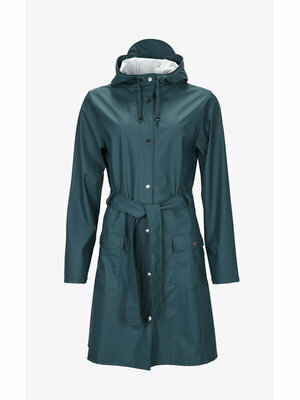 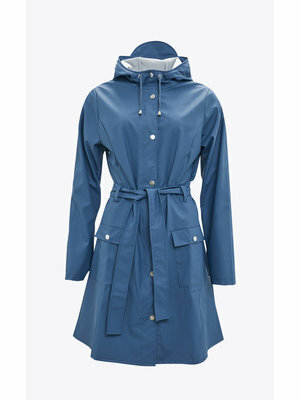 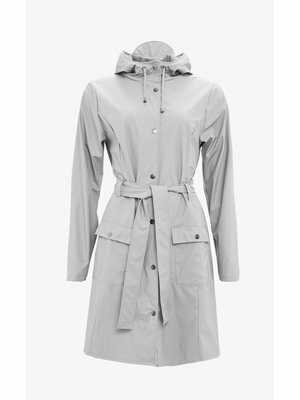 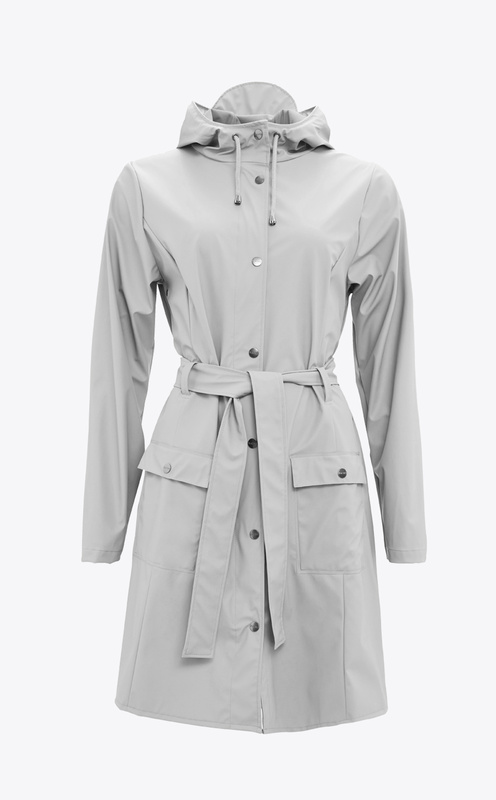 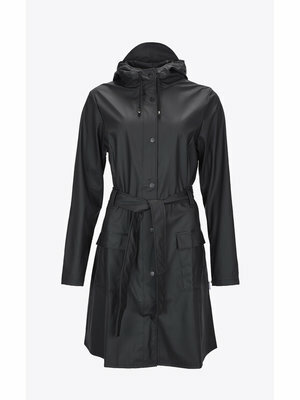 This raincoat is inspired by the timeless trench coat, but with a modern fit and a tie belt to give it a beautiful feminine shape. 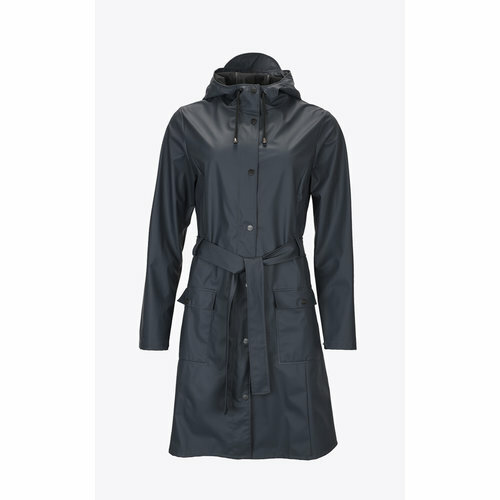 The Curve Jacket is made of a waterproof, lightweight and wrinkle-free material and closes with a waterproof zipper and extra snap buttons. 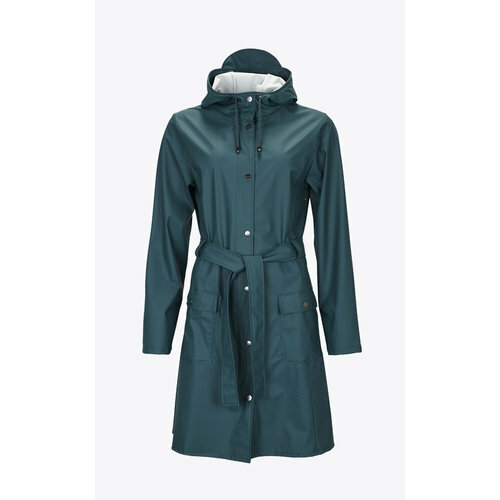 The jacket has two spacious pockets with snap buttons and an adjustable hood with flap so that your face stays protected in all weather conditions. 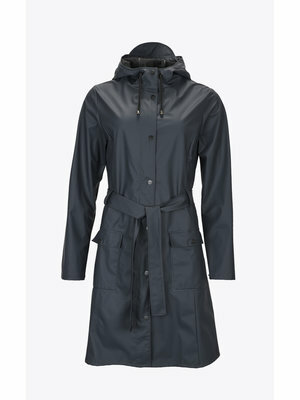 The Curve Jacket is made of 50% polyurethane and 50% polyester. For reference: The model is 172 cm tall and wears size XS/S.